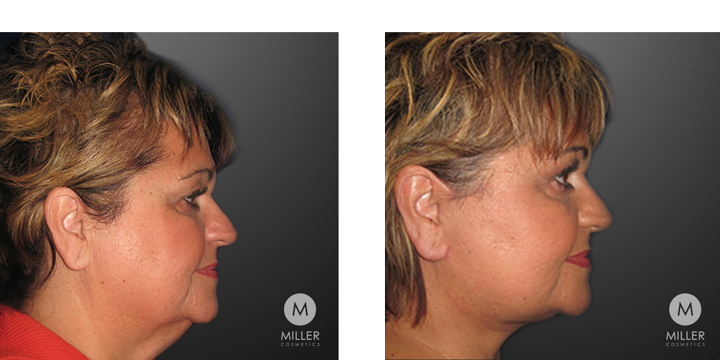 The facelift procedure is designed to lift the jowls and eliminate banding in the neck. A facelift is more than trimming skin. A quality, lasting facelift tightens the muscle underneath the skin and anchors it in its natural position. This results in a clean, defined jawline and a natural, rejuvenated, more youthful appearance. 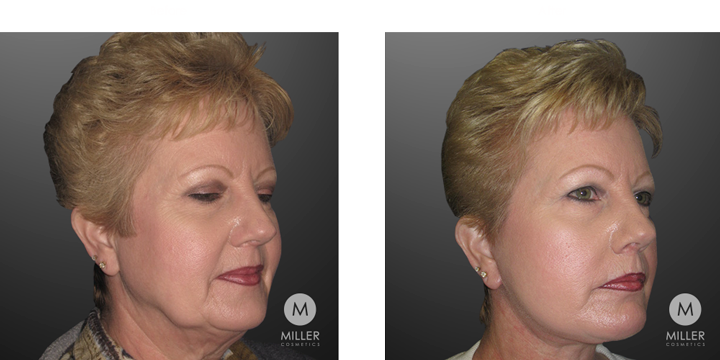 Dr. Miller accomplishes this by using incisions that are hidden to avoid the appearance of an artificial “operated” face. Dr. Miller tailors the procedure to meet the unique needs of each patient. During the consultation, he performs a comprehensive analysis and develops a plan to meet their specific objectives. A good candidate for this procedure includes anyone who has evidence of jowling, sagging cheeks, excess neck fat and skin, and deep facial wrinkles. There is no specific or optimal age to get a facelift. The procedure takes about 2-3 hours and entails meticulously camouflaged incisions, anchoring of the SMAS layer, tightening of the platysma muscle in the neck, and removal of excess skin. The surgery can be performed in our state-of-the-art procedural suite or, if the patient requests general anesthesia, it can be done at an accredited surgery center. The procedure can be performed with local anesthetic and oral sedation, IV sedation, or, at the patient’s request, it can be done under general anesthesia. Patients are sent home the night of recovery and are given a set of informative post-operative instructions. Patients do have the option to stay at an accredited recovery facility if they choose. Swelling and bruising usually resolve within 2-3 weeks. Patients are advised to take between 7-14 days off of work and avoid strenuous exercise for 3-4 weeks. A compression garment is recommended and is worn around the neck and face for one week and then at night for 2-3 weeks. The more often the patient wears the garment, the faster the patient will heal. Post-operative pain is usually managed effectively with oral pain medication and thorough instructions will be provided to the patient regarding medications. The patient will follow up on post-op day 1 for a routine check and on post-op day 7 for removal of sutures. If you have evidence of jowling, sagging cheeks, fullness in the neck and saggy skin, and deep facial wrinkles, you likely would gain a cosmetic benefit from having a facelift. There is no optimal age to have a facelift. Every person ages at their own pace and experiences the signs of aging in their own unique manner. It is not possible to guarantee the longevity of a facelift. Several factors can jeopardize the results of a facelift including but not limited to premature over-exertion, chronic sun exposure, smoking, and weight gain. Generally, Dr. Miller’s goal is for the results to last 7-10 years and hopefully longer. Will I look like a different person after surgery? The goal of a facelift is to create a natural, refreshed, rejuvenated look which often results in a more youthful look as well. 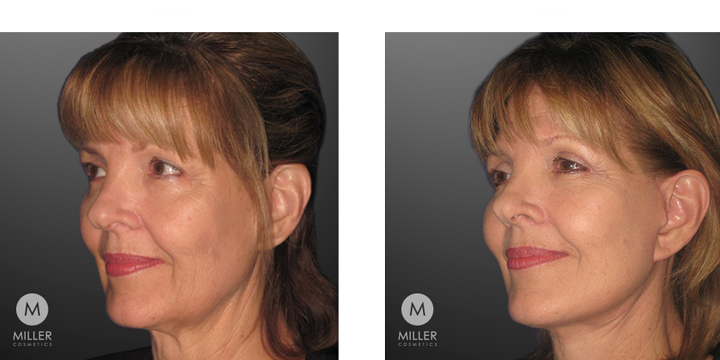 Dr. Miller takes specific measures to prevent an artificial “windswept” appearance or an “operated” appearance. Every skin type is different and everybody heals at their own unique pace. The primary concerns include bruising, swelling, and scarring. Most patients experience significant improvement in these conditions in about one to two weeks. Complete resolution may take up to three months. If you don’t want anybody to know that you had surgery or if you want to conceal the fact that you had surgery, your recovery will last between 3 and 4 weeks. How much time off work is required? This is largely dependent on what type of work you do. Most patients require at least one week off and, if you have a physically strenuous job, you may need as much as three weeks off. If you have a less strenuous job such as office work, it’s possible to return to work in a week. Dr. Miller will address this question in both the preoperative consultation as well as the post-operative follow-up. Will I have a big scar after surgery? Smoking, chronic sun exposure, diabetes, a history of keloid scars, and chronic steroid use are examples of risk factors that can increase the risk of scarring. Other factors such as putting too much tension on the skin during the closure, and post-operative infection can increase the risk of scarring as well. Fortunately, the skin on the face is thin and very well vascularized which typically results in minimal to un-noticeable scarring. Dr. Miller will do a thorough history and physical exam in the pre-operative evaluation process and make certain that you are an optimal candidate with minimal risk factors. The patient should begin walking around the day after surgery. Light cardio activity can then slowly be incorporated into his or her routine after about 5 days. Heavy lifting or strenuous physical exercise should be avoided for about one month. Do I have to wear any dressings after surgery? Yes, patients usually wear a compression dressing around the clock for the first three days and then at night for about 2 weeks. Dr. Miller uses a combination of permanent and dissolvable sutures. The permanent sutures are usually removed 6-8 days after the procedure. The procedure usually takes 2-3 hours. 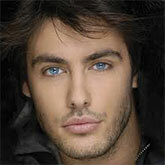 It may take longer if a facelift is combined with other procedures such as eyelid surgery (blephroplasty), browlift etc. A lower facelift can be done using local anesthetic, IV sedation, or general anesthesia. Mid-facelifts require general anesthesia. Dr. Miller thoroughly evaluates each patient and presents the appropriate options. "I couldn’t have been happier with both the results and the ease of the recovery process. The procedure was completely free of discomfort and Dr. Miller, his assistant and the staff deserve high marks for how considerate and caring they are. Dr. Miller is personable and certainly highly skilled. I am thrilled with the outcome even at this early date with my upper blepharoplasty. I was able to return to work within days with a small amount of bruising. Two weeks later, I am nearly free of all evidence of the procedure, exuding confidence and happiness with my younger looking eyes, and all without a single dose of prescription or over-the-counter pain relief." Description: This is a 49 year old female who presents with concerns about excess skin and fullness in the neck and under the chin. She was further troubled by hollowness in the cheeks, sagging jowls, and sagging upper eyelids. We performed a facelift combined with a necklift and lipocontouring of the neck as well as fat grafting and an upper eyelid blepharoplasty. 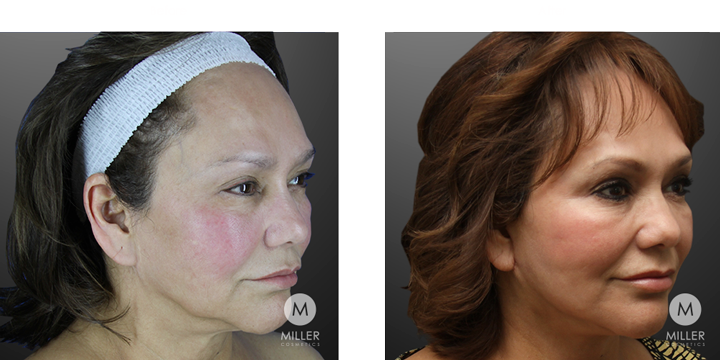 She was happy with the natural, much more defined jawline and neck as well as restored volume in the cheeks and more refreshed upper eyelids. Additional Procedures: Necklift with Lipocontouring of the Neck, Laser Resurfacing of the Face and Neck using the ActiveFx Laser Resurfacing System. Description: This is a 47 year old who was concerned with the lack of definition in her neck and jawline as well as sagging jowls and sun damage to her skin. 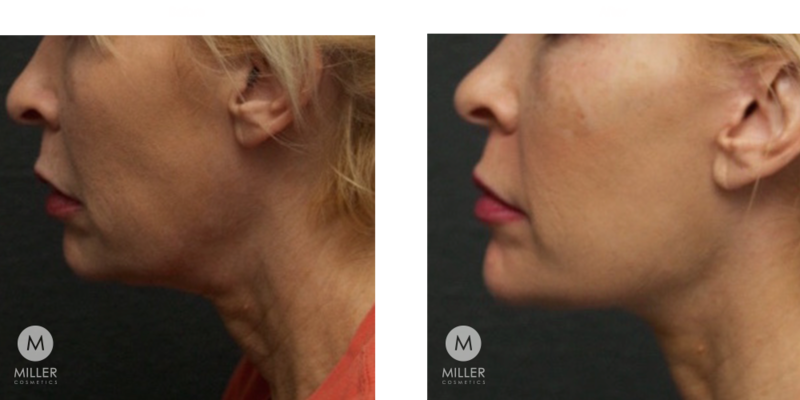 We performed a facelift combined with a necklift and lipocontouring of the neck followed by CO2 laser resurfacing of the face and neck about 6 weeks after surgery. The patient was very happy with the naturally more youthful look with a stunning neck and jawline and improvement in her skin tone as well. Description: This is a 69 year old female who presented with concerns about fullness in her neck, sagging jowls, and a hollow, tired look in her face. She had a facelift combined with a necklift, lipocontouring of the neck, and fat grafting to the face. She felt like she looked much more naturally refreshed with much better definition in the jawline. Description: This is a 55 year old female who presented with concerns about sagging jowls, hollowness in her cheeks, and sagging in her neck. 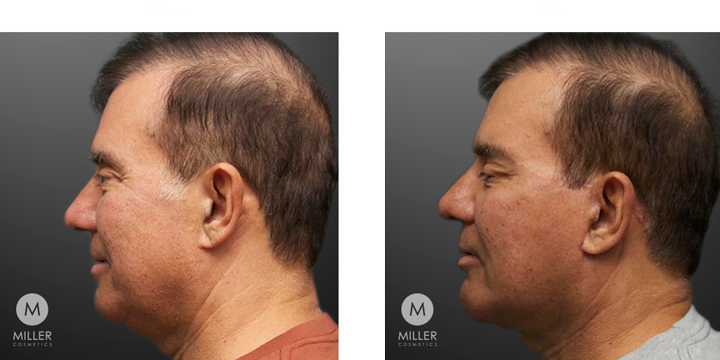 We performed a facelift as well as a necklift with lipocontouring of the neck, and fat grafting globally to the face. She was happy with the natural rejuvenation that she experienced. Description: This is a 67 year old female who presented with concerns about sagging jowls and loose skin in the neck. She had a facelift combined with a necklift and lipocontouring of the neck. 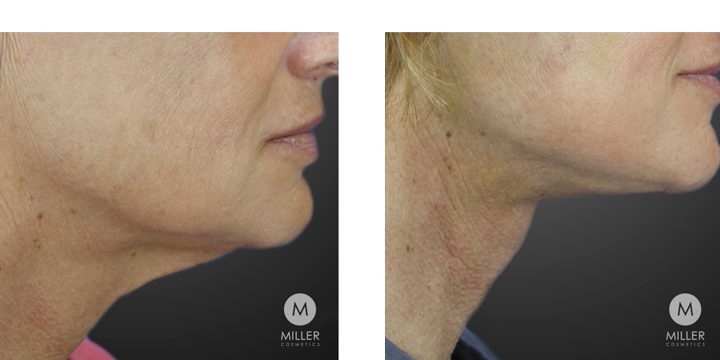 She was very happy with the much more defined jawline and enhanced contour of her neck which made her feel more refreshed and more youthful. Description: This is a very active, fit, 49 year old who was not satisfied with the lack of definition of her jawline, the skin droop in her neck, and the gaunt appearance in her cheek. She was very pleased with the natural enhancement that resulted from a facelift and necklift combined with fat transfer to her cheeks. Description: This is a 42 year old who was not happy with the fullness under her chin as well as sagging jowls and a tired appearance. 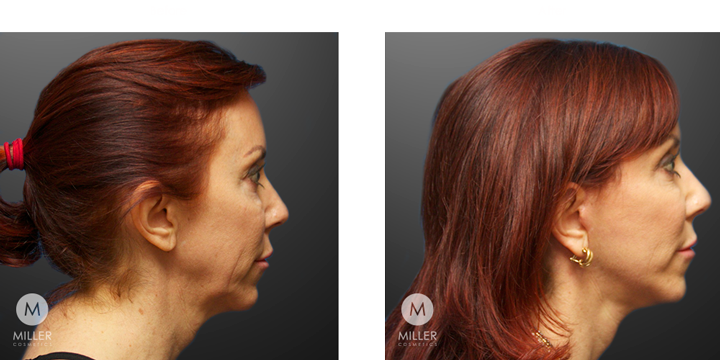 We performed a facelift with a necklift and lipocontouring of the neck and fat grafting. 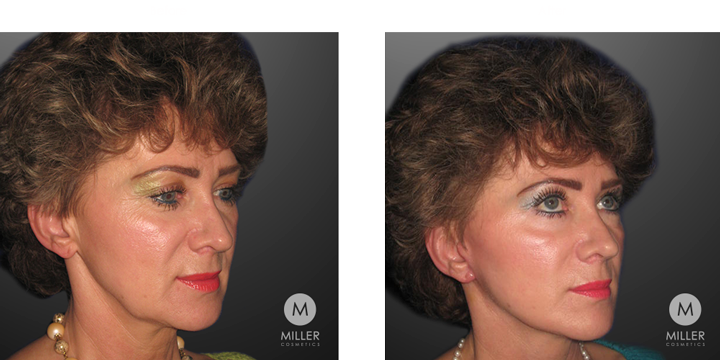 She was very pleased with the natural enhancement of her jawline and neck as well as the volume enhancement in her cheeks. Description: This is a 65 year old female who presented with concerns about jowling an sagging neck. She had a lower facelift with a necklift and fat transfer. 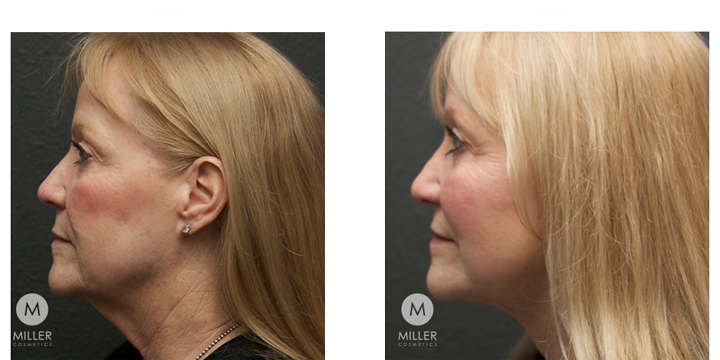 She was very happy with the clean, defined jaw line and restored volume in her cheeks. Description: This is a 63 year old who presented with concerns about sagging jowls, laxity in her neck, and sun damage to her skin. 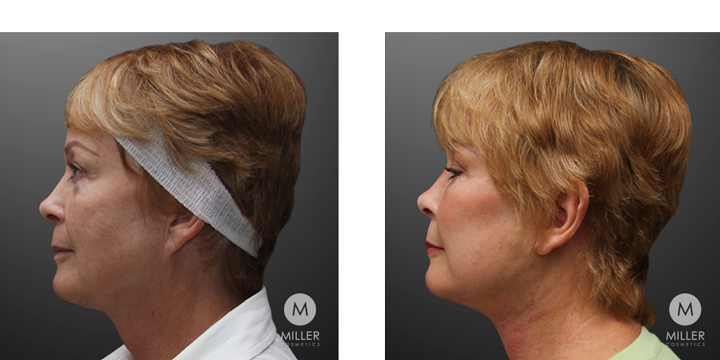 We performed a facelift combined with a necklift followed by laser resurfacing of the face and neck about six weeks after surgery. 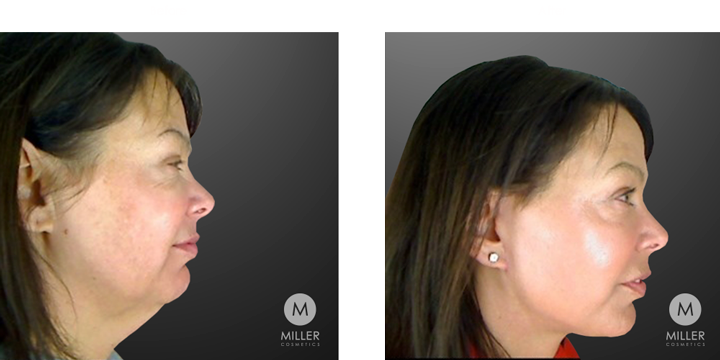 She was very happy with the improved jawline and neck definition as well as enhanced skin tone. Description: This is a 61 year old female who presented with concerns about sagging jowls, hollowness in her eyes, and sagging in her neck. 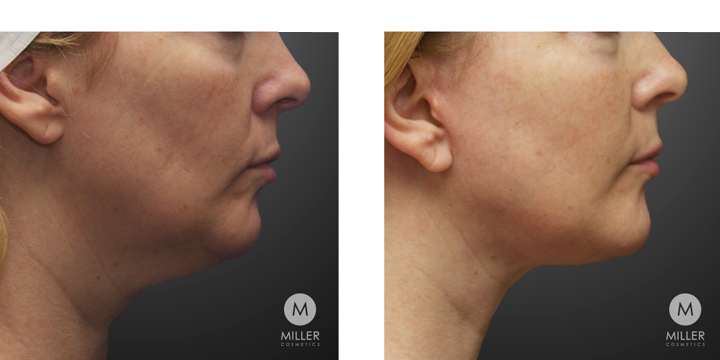 We performed a facelift with a necklift, lipocontouring of the neck, as well as fat grafting globally to the face. 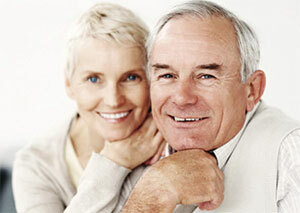 She was thrilled with the natural rejuvenation that she experienced and felt much younger. Description: This is a 60 year old female with very defined facial features who was not satisfied with the jowling that was diminishing her jawline. 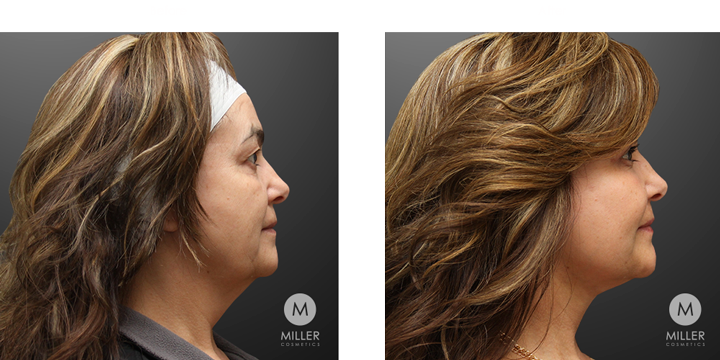 We did a facelift and a necklift and achieved a very clean, natural jawline and neckline that made her look more refreshed and younger. Description: This is a 57 year old female who was displeased with the heavy appearance of her neck. She had a significant amount of sagging in the neck and jowls. 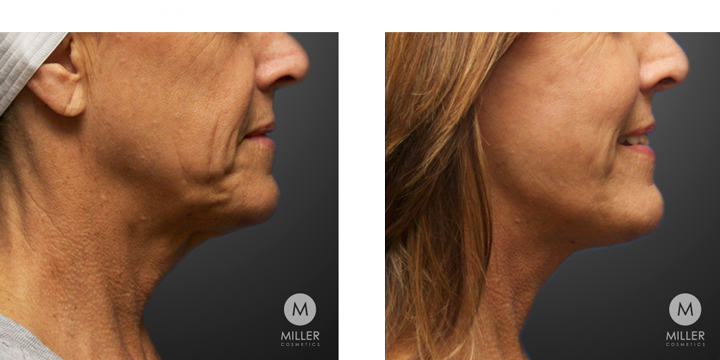 We performed a facelift with a necklift and lipocontouring of the neck and she achieved a remarkable, natural enhancement to her jawline and neckline and felt like she looked much more refreshed. Description: This is a 63 year old female who presented with concerns about sagging in her neck and jowling. 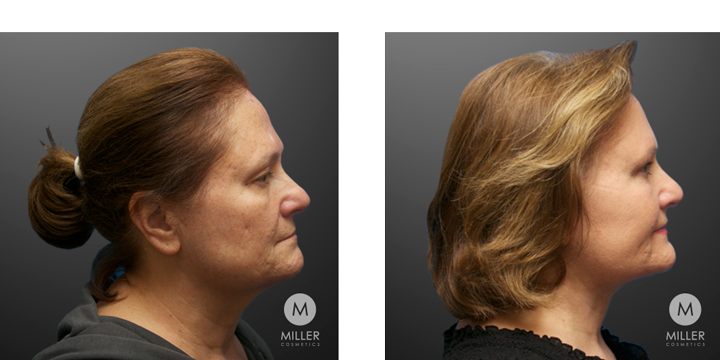 We performed a facelift combined with a necklift and lipocontouring of the neck and achieved a very natural, refreshed look by defining her jaw line and neck line. Description: This is a 54 year old female who presented with concerns about loose skin in the neck and a loss of definition in the jaw line. We performed a facelift as well as a necklift. She was happy with the natural rejuvenation that she experienced. Description: This is a 58 year old female who was not satisfied with the jowling and laxity in her neck. Following surgery she was very happy with her natural, refreshed look. Description: This is a 65 year old male who presented with concerns about lack of definition in the jawline and sagging in the neck. A facelift was performed along with a chin implant and fat transfer and he loved the natural, more youthful appearance that resulted. Description: This is a 53 year old female who was concerned about the jowling and platysmal banding in her neck. 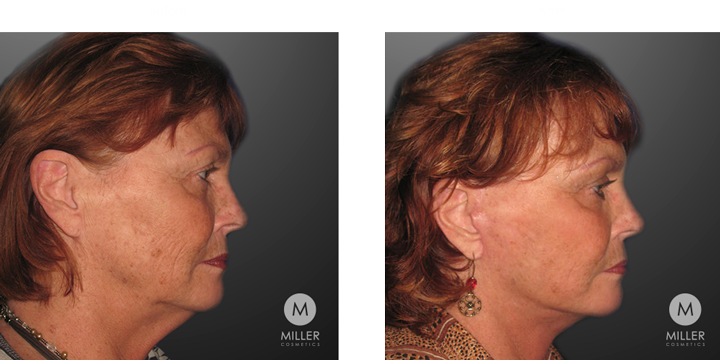 A facelift and necklift were performed and she was loved the natural definition and youthful results.